The first teams had been formed by athletic clubs, with the most prominent the St. Christopher Club (based at St. Philip’s Episcopal Church, whose parish house included the best gymnasium available to any club) and the Alpha Physical Culture Club, which had club rooms first on 134th Street and then at 126 West 131st Street. The early members came from among the small black middle class, with West Indians prominent among them, and the clubs also operated as social organizations, organizing dances and other events (often for fundraising), and displayed a fraternal character evident in clothing decorated with club emblems and organized cheering at games. Almost from their inception the clubs also organized women’s teams — the New York Girls at the Alpha Physical Culture Club, the Nomads at the St Christopher Club. Games between women’s teams took place in Harlem throughout the 1920s. Only small crowds could fit in the church gymnasiums, so beginning around 1910. as games gained popularity — particularly those featuring black teams from other cities or white teams — they took place at the Manhattan Casino, 280 West 155th Street, well to the north of the boundaries of early black Harlem, but easily accessible by subway. The crowds featured many respectable men, with newspaper reports drawing attention to the presence of Elks and Post Office clerks. Basketball also continued to be played in gymnasiums connected to St Philip’s Episcopal Church, Mother Zion A.M.E. Church, Abyssinian Baptist Church, St. Mark’s Methodist Church, St Mark’s Catholic Church, in the YMCA, P.S. 136, and at the 15th Regiment Armory. Harlem’s schools began competing in the Public School Athletic League in 1910, and by the 1920s repeatedly won championships in basketball. P.S. 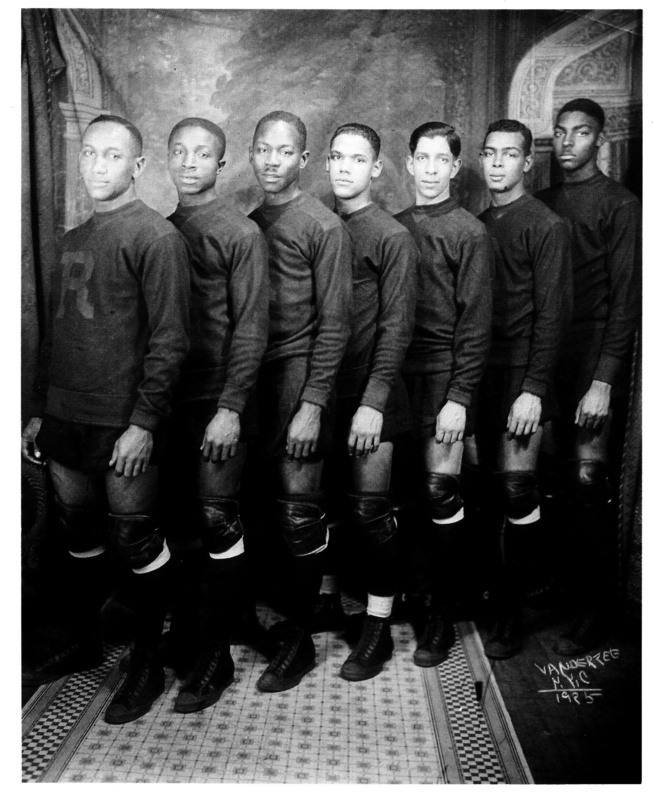 89, were city champions from 1928 to 1937, when they lost to P.S. 139, Harlem’s junior high school. 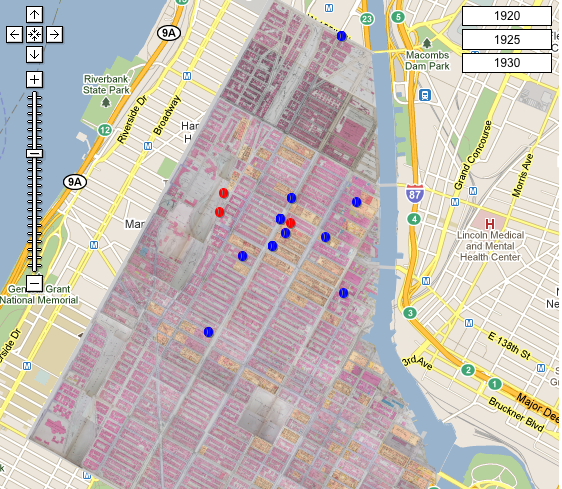 The Monarch and Imperial Lodges of the Elks, the 369th/15th Regiment, and various fraternities also had teams that played in Harlem, and by the end of the 1920s, an inter-church league operated in the neighborhood. All this interest in basketball generated the opportunity for professional teams, which developed as attractions to help fill Harlem’s dance halls. First came the Commonwealth Big 5, put together in 1922 by the white McMahon brothers to play at their venue, the Commonwealth Casino, primarily a boxing venue. The McMahons’ connections allowed them to open Harlem to mixed-race professional games, including against the Original Celtics, the dominant white team of the era. When sufficient crowds failed to come, the Commonwealth Big 5 folded after two seasons, leaving the spotlight to the New York Renaissance, or Rens, a black-run team named for the new venue in which they played, the Renaissance Ballroom, on Seventh Avenue in the very heart of the black neighborhood. In the 1920s, the Rens played one home game a week in Harlem throughout the season, and often as many as five or six games a week on the road, rather than the 10-15 games a year the amateur clubs had scheduled. The team’s first opponents, on November 2, 1923, were a white team; interracial games became a feature of the Rens’ schedule, not only drawing good crowds that included whites, but offering the team the opportunity to claim to be the best in the nation. On December 20, 1925, the Rens recorded their first victory over the white world champions, the Original Celtics. A Saturday or Sunday evening at the basketball included not only a game, but also the dance that followed, featuring good orchestral music, songs, and dance contests. 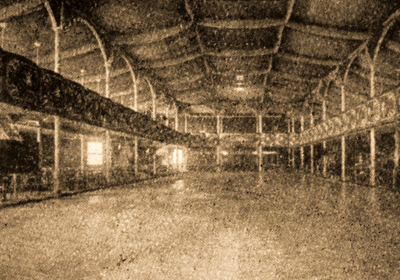 The ballroom could hold about 1500 people, or 3000 standing-room-only, but was less than an ideal venue, shorter (100 feet by 89 feet), darker and with a lower ceiling than the Commonwealth Casino, where the dance floor measured 176 feet by 40 feet (nearly twice as long as a current NBA court). The crowd sat at three tiers of tables around the court, and in cheaper seats in the upper gallery (the realm of the ‘Gallery Gods,’ famous for their catcalls during games). Games were also periodically played at the Alhambra Ballroom and the Palace Garden Casino, but, thanks to increased charges, only rarely in the late 1920s at the Manhattan Casino (which was renamed the Rockland Palace in 1928). The Renaissance Ballroom continued to host basketball into the 1930s, although the Rens spent most of their time on the road. It was in Chicago, on March 20, 1939, that Harlem’s basketball team defeated a white team to win the first ever professional basketball tournament, officially becoming world champions. What a great glance into Harlem history and the popularity of basketball. Wouldn’t it be something if they brought pro basketball back to Harlem?